Now is the perfect time for rising seniors and soon-to-be bachelor’s alums to plan and apply for fellowships for the 2020-2021 academic year. There are a lot of opportunities open and we have 4 great ways for interested students to learn more and to get started. Sign up for Global Fellowships Prep to connect with advisors and gain access to tools to support your fellowship application process. 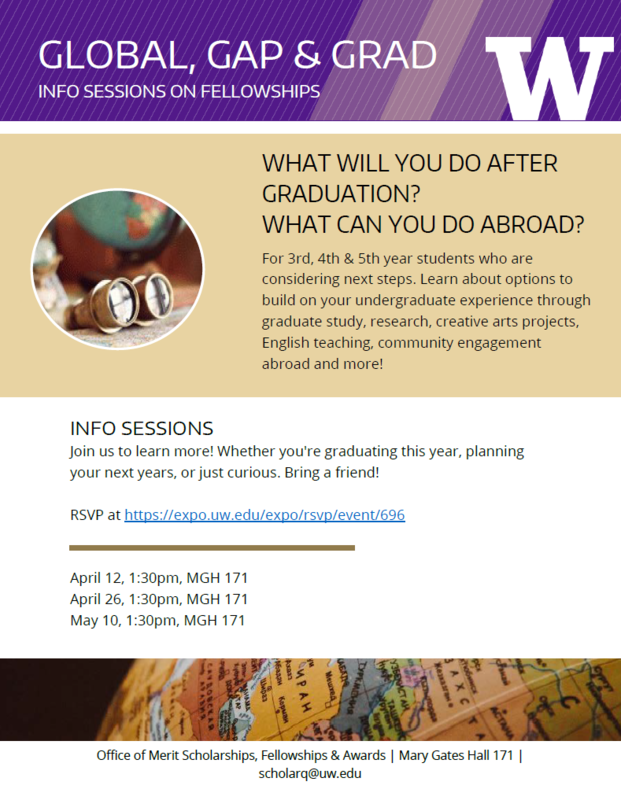 Attend a Global, Gap & Grad Fellowships Information Session to learn about research, study and teaching abroad programs. Join us for a special Schwarzman Scholars presentation on April 17th at 4:00pm in MGH 171. 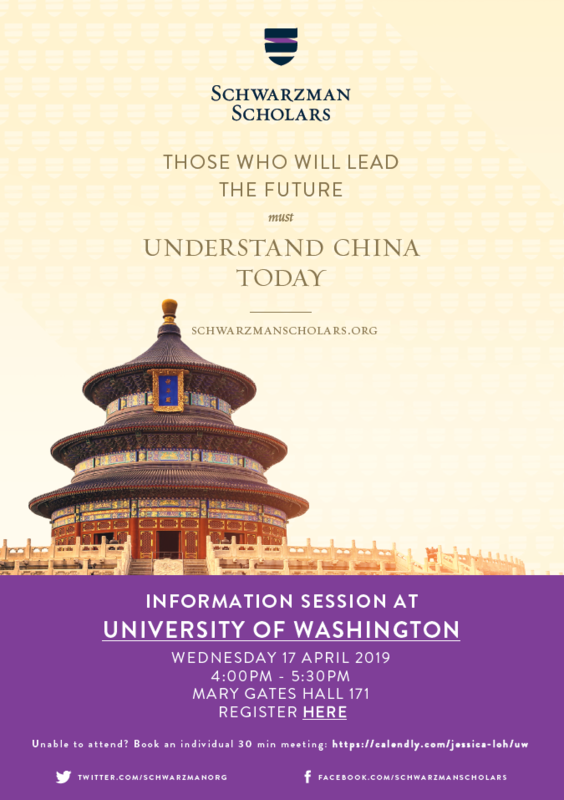 Schwarzman is a fully-funded graduate program at Tsinghua University.